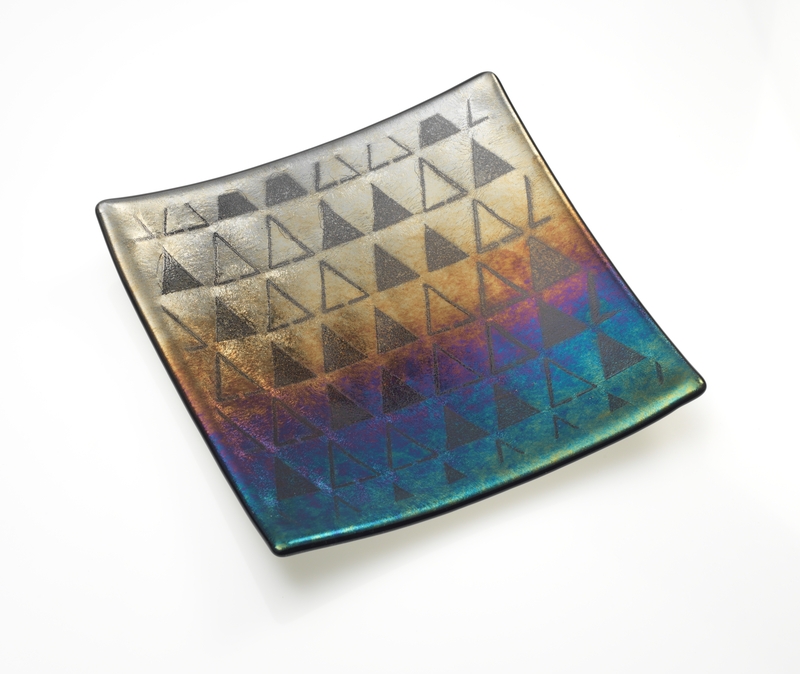 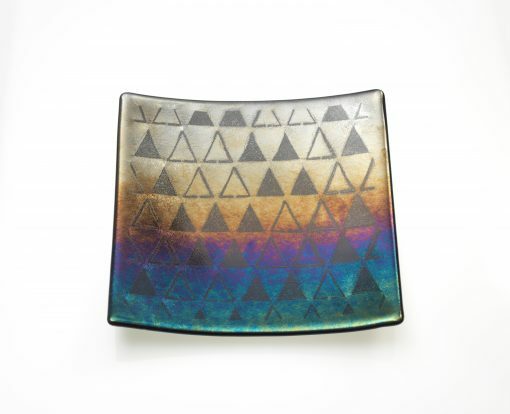 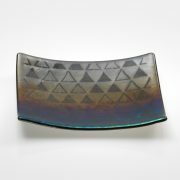 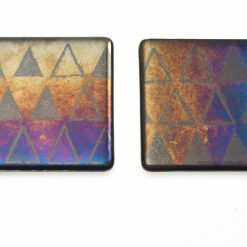 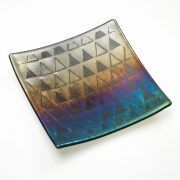 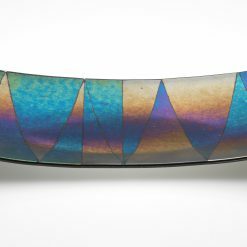 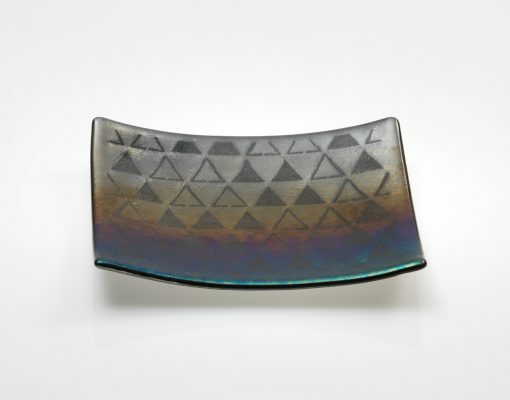 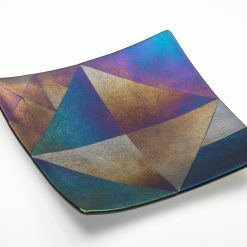 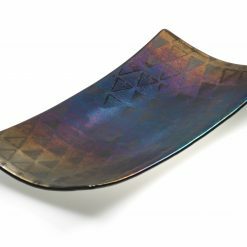 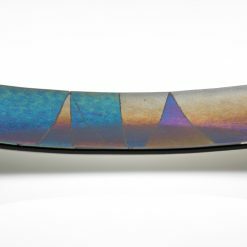 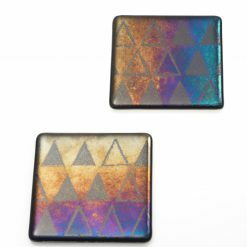 Iridescent triangle pattern on a square plate. 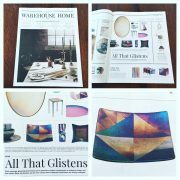 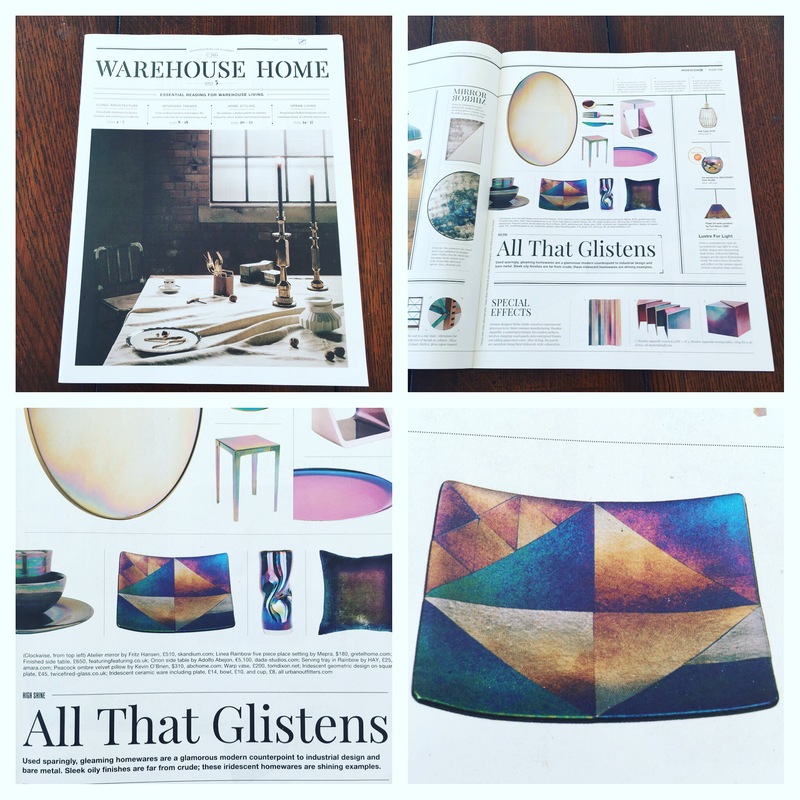 This range has been featured in Warehouse Home Magazine, it is a celebration of patterns and colour found in nature. 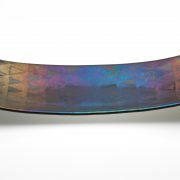 The phenomenon of certain surfaces that appear to change colour as the angle of view or the angle of illumination changes. 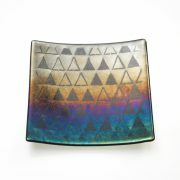 Butterfly wings, beetle backs, sea shells, rocks and minerals have been my inspiration. 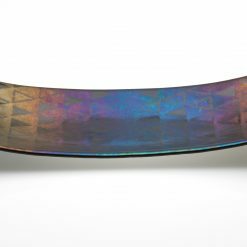 Whether we're looking at the transparent wings of dragonflies, the near-metallic colours of scales on beetles and butterflies , or the feathers of hummingbirds and peacocks , we are immediately drawn to their iridescence (from the Latin word, “iris,” meaning rainbow). 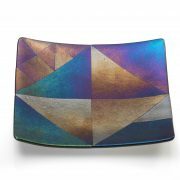 This range wold make a stunning centre piece in any room.